Industrial quality you can take anywhere. 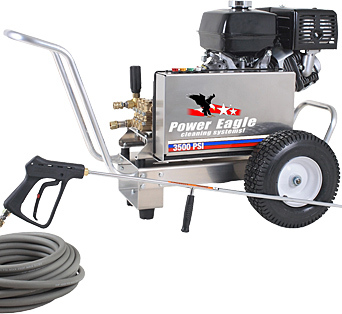 These engine driven pressure washers are excellent for washing where there is no electricity. 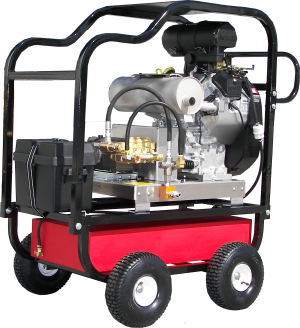 Typical models range in performance from 2300 PSI to 7000 PSI, with flow rates between 3 GPM and 8 GPM. 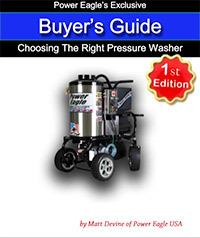 Choose from quality engine manufacturers like Honda, Kohler (including Kohler diesel), and Vanguard by Briggs and Stratton. We offer quality belt-drive and direct-drive pumps by CAT, General and, AR.